The Costa Mesa City Council meeting last night provided us with some more interesting insights into the minds of those sitting on the dais. Mayor Pro Tem Allan Mansoor demonstrated, once again, that he's not about to let facts interfere with his opinion. 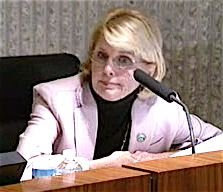 During the discussion of the Community Development Block Grant distribution for the Costa Mesa Senior Center he interrogated Executive Director Aviva Goelman, who had referred to an article in the Daily Pilot that morning the headline of which read, "Senior funds could be cut". Mansoor, admitting that he had not seen the article in question, called it "sensationalism and speculation". It was obvious to those observing that Mansoor was on another of his frequent "anti-Daily Pilot" rants. When Mayor Eric Bever leaned over and pointed out that funding for a Senior Center program was, indeed, being reduced, Mansoor persisted with his "sensationalism" comments. The council voted to fund the Senior Center programs as recommended by the 3R Committee, which included a reduction of $2,000 in a food distribution program.
" I am constantly reminded of how stingy the average Orange Countian is. Our rate of charitable giving ranks among the lowest in the nation. Let's dig into our wallets and support the Costa Mesa Senior Center. I'm going to call the Center this morning and chip in the $2000 difference between last year's city funds' allocation and the measly sum the Costa Mesa City Council plans to consider tonight. Who will join me? " Well, a little bird told me that, true to her word, Flo Martin jumped off her couch, dashed to the Senior Center and delivered her check for $2,000 to supplement the shortfall anticipated by the council action. Way to go, Flo! During the deliberations regarding the Senior Center funding councilwoman Wendy Leece, who has recently been skulking around the Senior Center, digging through the trash, interrogating the staff and listening to a couple malcontents, defended her actions and said that, if anything, her recent up-close-and-personal inquisition at The Center caused her to consider the funding recommendations more closely. If you say so, Wendy, but you've still created turmoil and discontent among our seniors at a time in their lives when they need peace and harmony - and adequate food. That same little bird that told me about Flo Martin's response to the funding reduction told me that, as a direct result of Wendy's unwelcome interference and the Daily Pilot article about the funding reduction, some other generous benefactors immediately stepped up and dropped a couple sizable checks on The Center. Oh, by the way, the council also later voted to follow all the 3R Committee recommendations for funding other worthy causes. The "book" provided to the council which included the reference material must have weighed 10 pounds! Thanks to the good folks on the 3R Committee for their good work. Further on Allan Mansoor... Yesterday my voter pamphlet for the primary election on June 3rd arrived in the mail. As I perused the pamphlet and carefully checked out the "Republican" section - where I will be marking my ballot - I scanned down the list of twelve candidates for "Member, County Central Committee, 68th Assembly District"and found a familiar name - "Allan R. Mansoor"! Yep, lest there be any doubt about just how immersed our young jailer/politician has become in Orange County Republican politics, this entry confirmed it. I guess riding the backs of immigrants to re-election a couple years ago has provided him with enough notoriety within my party - he was anointed "Local Elected Official Of The Year" by the party not too long ago - that some actually think him worthy of a seat at the big table of power. Geez, is that depressing! I guess all it takes to attain a leadership position in my party these days is a big, vacuous smile, half a brain and the willingness to oppress members of the minority community in the city you are elected to govern. It makes one understand why smart folks like my pal, Byron de Arakal, chose to become a "decline to state" voter. i am very happy about another picture of the man being posted for those to see just who this guy is. I too hope he runs, i look forward to making sure CM & the county is well educated in just who he is & what he stands for. Looks like the cut to the senior center was a sort of blessing in disguise due to the out pour of generosity. I can tell you a little birdy also told me the same is going to happen for the Save Our Youth program as well, just how soon remains unknown, but it is going to happen. just looking at that is crazy, SAVE OUR YOUTH $0 unreal! Have any of the so called council even been there? do they not know what good comes from it? I guess it makes them happy to know they cut into the scholarship funds SOY gives out. More to come on this soon. One local dimwit who blogs on all things that he knows nothing about, and that includes just about everything, and who seems to have an IQ on a par with the wattage of the light bulb in your refrigerator, says that Pendleton is no good because it has hills, blah, blah. Oh, good grief! Of course, this same imbecile keeps writing that Bever is doing all he should do to improve the Westside. And, the buzz is that this guy is one of Bever's pals. That's the trouble with the internet, dopes who would have been limited to writing their stupid ideas on bathroom stalls down at the Greyhound Station, are now doing it on the internet. I wonder who he is referring to? Could be me, could be Bkrochman, could be someone else. Fascinating how someone who allows no comments likes to publicly call out people who have no way of responding to his drivel. I guess if you continually post gross inaccuracies and outright fabrications, allowing a forum for rebuttal would be risky. 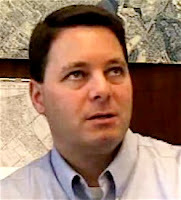 Please, Mr. Millard, run for City Council. Let's finally air out your platform in a forum that would allow for questions and rebuttal. If you have a problem with what I write, address me here, in the Pilot, or allow comments on your blog. I have nothing to hide and facts to back up my assertions. As I have said here and elsewhere, I agree with some of your plans, proposals and ideas. You are obviously very concerned about Costa Mesa and real improvement is always a good thing. cmtruth, have you noticed that you are now linked on the Daily Pilot blog under "Community Links"? Good for you! Millard doesn't want public feedback because he can't handle being confronted with facts that refute his opinions. Pendleton is a non starter. Won't happen. I have spoken personally with people that are familiar with military installations and commercial aviation. There is a better chance of an airport at El Toro than Pendleton and as we all know that probability is zero. OK, now I'm REALLY depressed! Hello there, I attended the latest City Council meeting, and this time I didn't go alone, I took my students with me. Right before the meeting, my students and I had a nice meeting with Assistant City Manager Mr. Thomas Hatch. Please allow me to thank him from here. He was an incredible man, very professional, throughout the brief meeting. My students learned a lot from him. Next week Santa Ana Councilman Vincent Sarmiento will be talking about his city. Once again, I'd like to ask you (Geoff) to come to my class to have a chat with my students on Costa Mesa matters. This invitation is extended to our beleaguered neighbor Martin H. Millard. I think a university setting offers the perfect environment for those individuals whose ideas aren't so popular in town. He's no exception. If he would like to present his case to my class, he just has to let me know. If he wants to run for a City Council seat, although I don’t support his policies, I’m totally all for it. Humberto, I doubt your pal at the CM Press will respond here. If he should do so, either to the blog on on the email address on my Profile page, I'll be sure to forward it on to you. I think you're correct, his comments on Costa Mesa would make for some interesting discussion within your class. I hope he takes you up on it. I totally agree - MCB Camp Pendleton will NEVER host a civilian airport. What I find fascinating about Millard is his utter inability to acknowledge when he is wrong, and his dogged pursuit of failed strategies. His strident advocacy for an airport at Pendleton will actually HURT the Newport Mesa community by potentially diverting and delaying consideration of realistic alternatives. "“We need to do our best to present a unified front and renew the settlement agreement as it is,” Moorlach said, citing his commitment to finding alternatives to airport expansion such as ground transportation to other regional airports like Ontario and Palmdale. If Orange County can develop a workable plan for alleviating some of the demand for John Wayne Airport, then it can make a good argument for stopping growth, according to Moorlach. Airlines will pressure the Federal Aviation Administration to expand John Wayne Airport’s flight offerings, but if demand goes down, then expansion will be unnecessary, Moorlach said." Building an airport out of thin air at Pendleton will take a decade at least - if it ever clears regulatory hurdles. Developing workable alternatives utilizing existing airports would be much less time-consuming. If Millard keeps banging the Pendleton drum and actually gets Rohrabacher to bite, he diverts resources from Ontario, March and Palmdale. Finally, instead of addressing the legitimate points against Pendleton, such as the fact that Ontario is virtually the same distance away as Pendleton, he resorts to name-calling. I wonder what his real motivation is, because his refusal to acknowledge the obvious doesn't comport with the obvious intellectual horsepower he possesses. i think he likes south better due to the fact it might be a little bit closer to the metzger compound. Bottom line guy reminds me of the old neo-nazi man in the movie American History X that pulled the strings of anyone ignorant enough to listen to his babble. of course im speculating here but is a possibility.